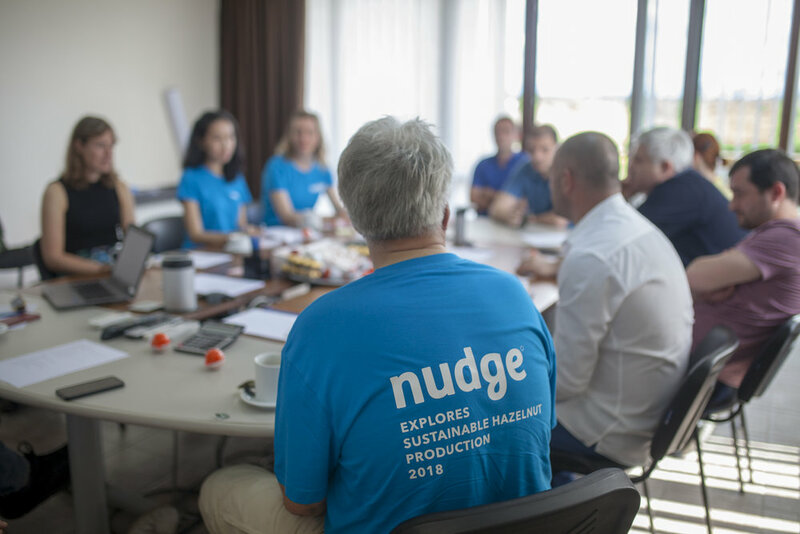 The winners of the Nudge Global Impact Challenge 2017 visited the Ferrero AgriGeorgia hazelnut farm in Georgia. 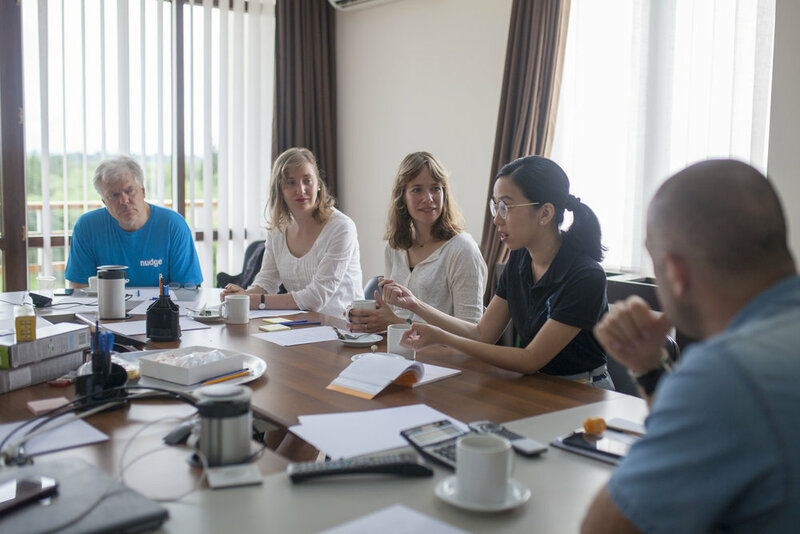 In an eye-opening experience they learnt about and observed what goes into the process of Ferrero's sustainable hazelnut production. 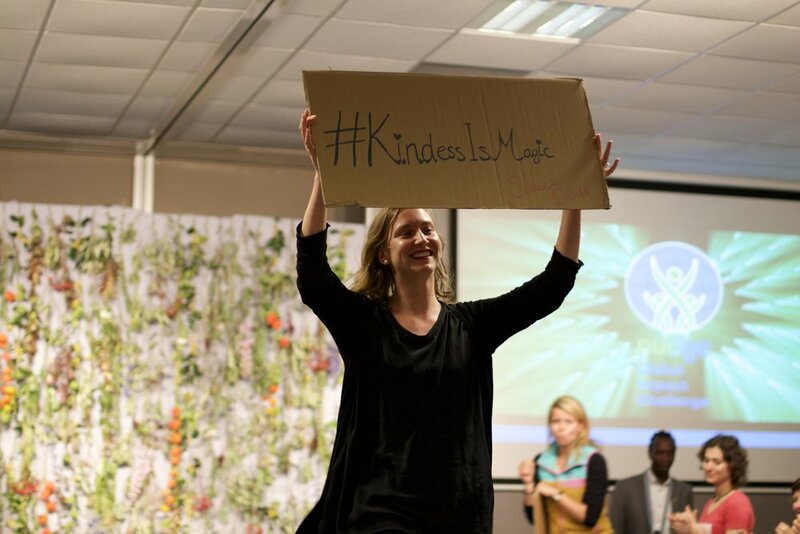 This trip was made possible by Ferrero, Reward Partner of the Nudge Global Impact Challenge 2017. 25 May - Trip to Kazbegi, Georgia. 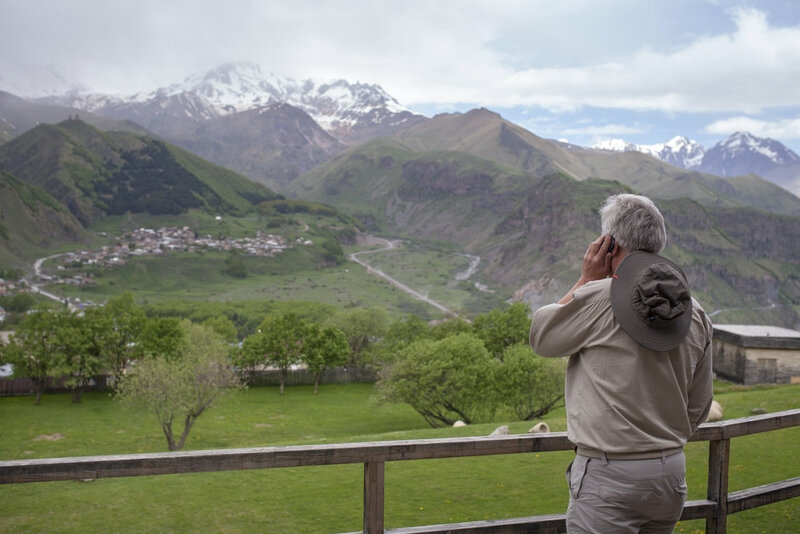 For their last day, the group travelled to the north-eastern region of Georgia, Kazbegi. 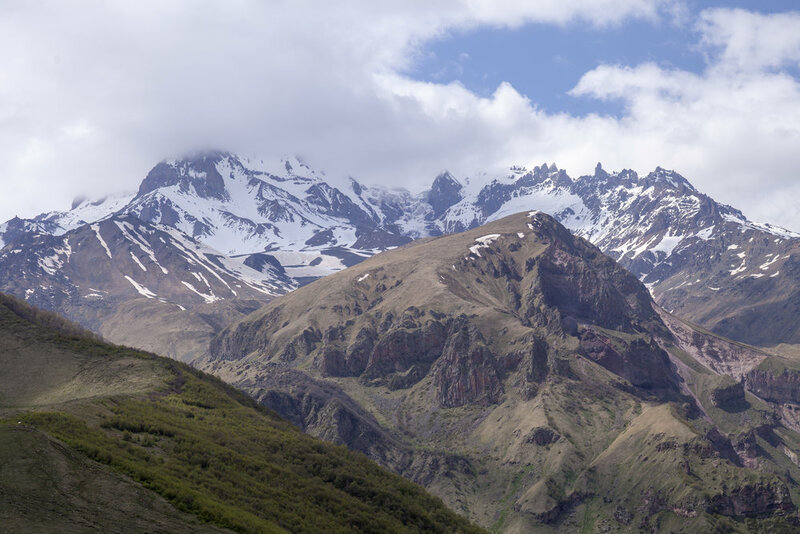 On an incredible hike they witnessed the landscapes of the Kazbegi mountain area, the Gveleti waterfall, and learnt all about the region's natural resources. Visit to the Georgia National Museum, 'Italian Art in Georgia' exhibition hosted by the Embassy of Italy. (Fltr) Merab Chitanava (General Affairs Manager, AgriGeorgia), Jan van Betten (Founder of Nudge), Sabine Oudt, Anacelle Bautista, Antonio Enrico Bartoli (Italian Ambassador in Georgia), Erin Groot-Hermsen, Federico Maria Grati (General Manager, AgriGeorgia). 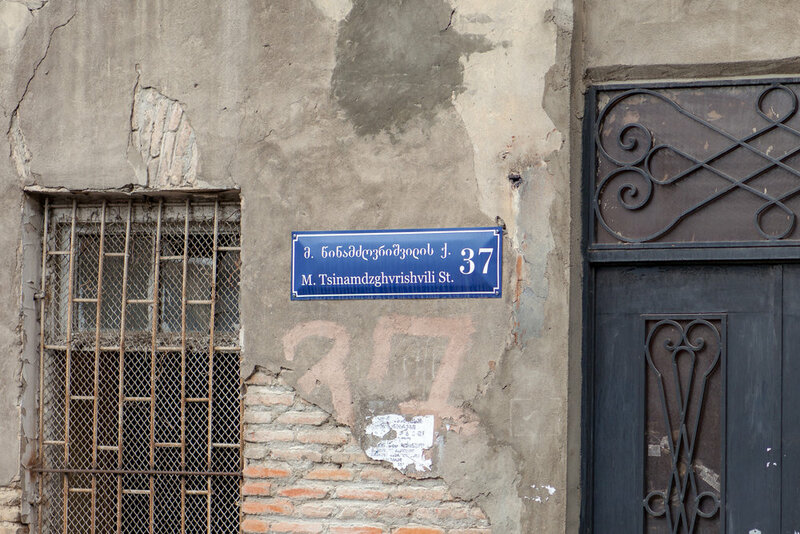 24 May - Trip to the capital: Tbilisi. Our explorers headed to Tbilisi where they received a tour of the city, and later on attended an exhibition by the Georgian National Museum and the Embassy of Italy in Georgia: 'Italian Art in Georgia'. Group picture with primary school children from a local school supported by Ferrero. (fltr) Pietro Pietrini (Head of Agricultural Department, AgriGeorgia), Federico Maria Grati (General Manager AgriGeorgia), Jan van Betten (Founder of Nudge), Gia Kbaratskhelia (Field Supervisor), Erin Groot-Hermsen, Sabine Oudt, Sviadi Bakhaturia (Quality Assistant), Irakli Antia (Quality Supervisor), and in the second row: Anacelle Bautista. Read more about the effects of the stink bug here. 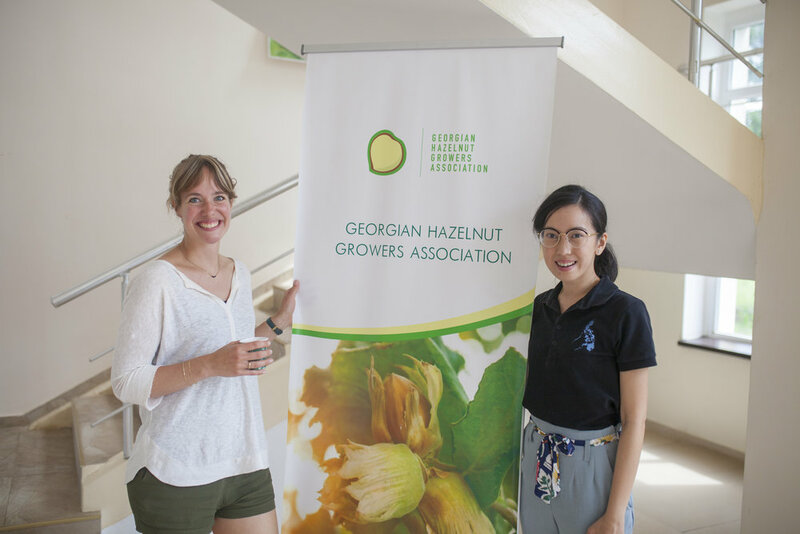 23 May - The journey continued with a day of meeting the hazelnut growers association to learn about their corporate social responsibility projects, as well as discussing sustainable bio-energy projects. 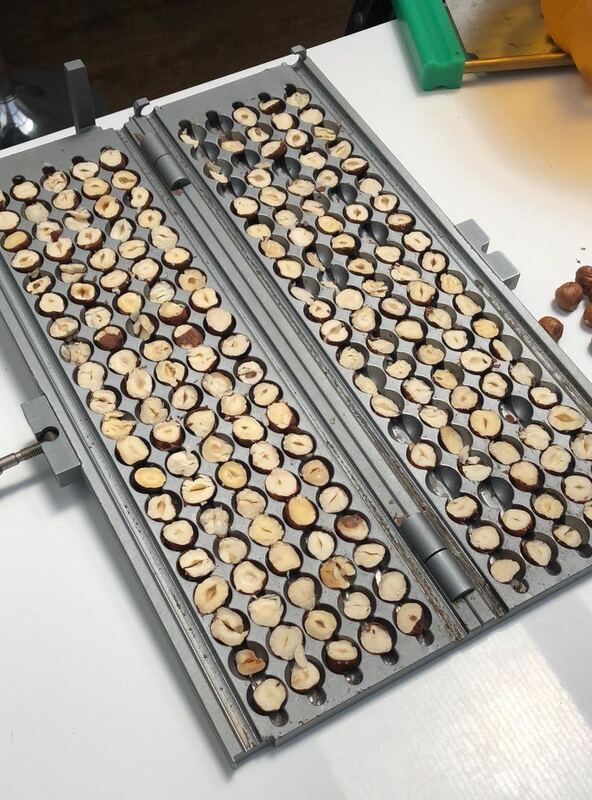 The association aids the 8,000 hazelnut farmers with drying centres for the hazelnuts and training programs to ensure consistent quality of production. 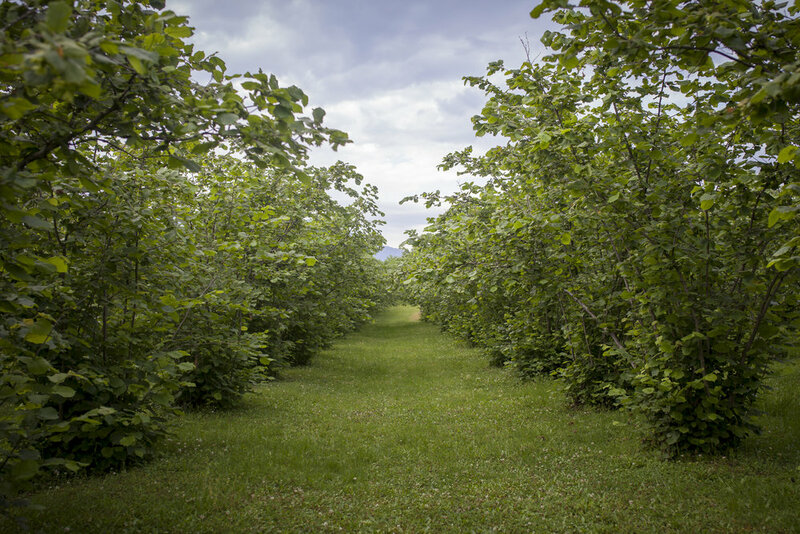 The team also learned about the devastating effects of a stink bug that attacked Western Georgia, which negatively affected the region's hazelnut production. Breakfast view of the town of Zugdidi, Georgia. 22 May - Introduction at Ferrero, AgriGeorgia. 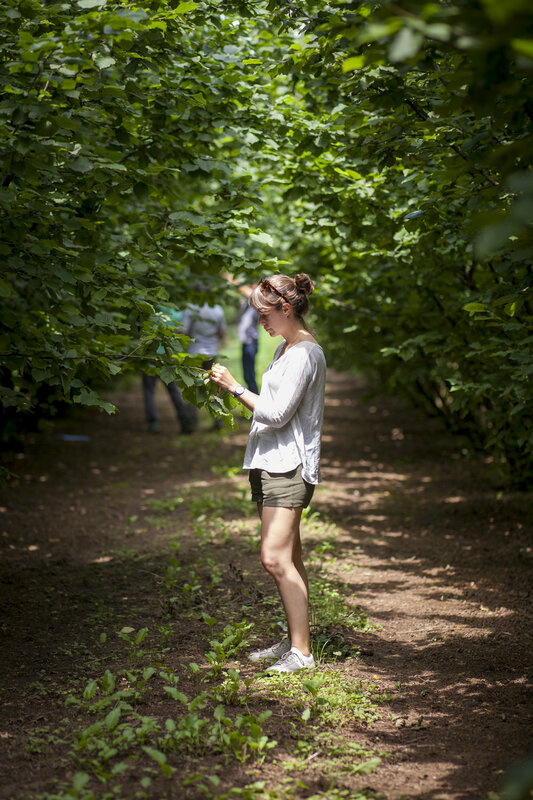 The team has been getting introduced to Ferrero's production process, including touring the farm grounds, tasting the hazelnuts and the end product: the chocolate. 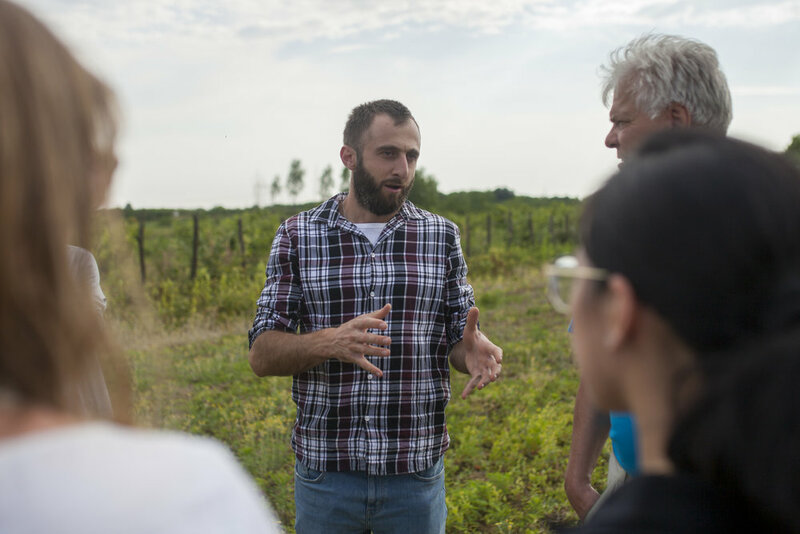 During field work led by the Ferrero team, they learnt how to count and forecast the demand for hazelnuts, as well as the day-to-day workings of the AgriGeorgia farm, from risk-anticipation to understanding the value chain, and controlling the quality of the hazelnuts themselves. Anacelle, Sabine and Erin at the AgriGeorgia hazelnut farm. 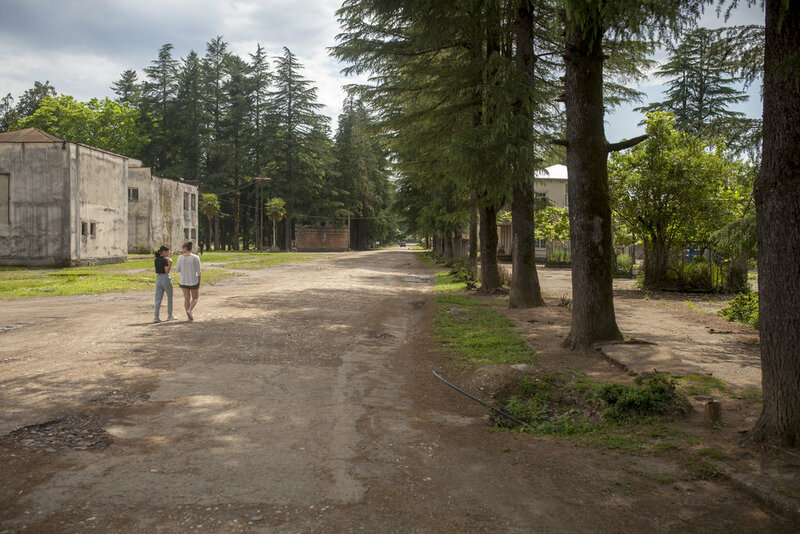 The Nudge and Ferrero teams touring the grounds of AgriGeorgia, in Samegrelo. 21 May - The team begins their trip to Tbilisi, Georgia. 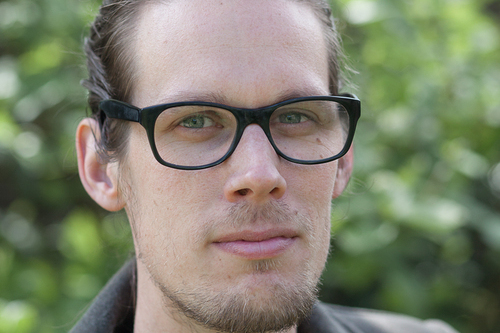 The Best Global Young Leaders in Sustainability 2017, alongside Jan van Betten, Paul Reehorst and the Ferrero team will spend their time learning about sustainable hazelnut production and sightseeing the wonderful landscapes of Georgia. Pictured (fltr) Sabine Oudt, Erin Groot-Hermsen, Jan van Betten and Paul Reehorst at Schiphol Airport Monday morning. Anacelle Bautista will be joining them in Tbilisi, after a long journey from Manila. On their way from Tbilisi airport to the AgriGeorgia farm in the Samegrelo region of the Western parts of Georgia.